Mormon Wookiee: #20: Tithing and the Panic of 1893. A couple of weeks ago, one of my neighbors, Adam Whitefield, gave a magnificent talk in Sacrament meeting about tithing, unlike any other talk about tithing I have ever heard. With his permission, I have posted it here in its entirety. I hope you enjoy it (and learn from it) as much as I did. Thanks, Adam! Last night as we were eating dinner, my wife was telling us about the play she saw with her mom—My Fair Lady. While going over the musical numbers, she mentioned “Get Me to the Church on Time,” to which my daughter Megan immediately said should be our family’s theme song for Sundays. Sometimes it just takes a speaking assignment. Approximately 10 years ago, I had the opportunity to attend a graduate program for banking, which was held at the University of Virginia. The program required me to travel to Charlottesville where I stayed in college dorms with roommates for a couple of weeks each summer for 3 years. During that time, I lived in a typical college environment except for the fact that I was married and had two young kids back at home. I was the first banker from Utah to attend this particular school and the only Latter-Day Saint in my class. My roommates and I would often stay up late talking about various things, and it seemed that the conversation turned to my religion almost every night. It was obvious to me that my roommates had never had such direct access to information about the church in a non-threatening environment such as this, where they outnumbered me two to one, and they weren’t going to let the opportunity go to waste. The topics varied from the Law of Chastity to the Word of Wisdom and eventually one night we ended up talking about the Law of Tithing. Of all the things we discussed, I think the thing that amazed them the most was that I willingly paid 10% of my income as tithing to the Lord. Being financially minded people, it seems they were hung up on all the other things I could be doing with the money instead of paying tithing and they asked me how I could do it. I gave the typical answer that I believe I owe the Lord for everything I have and that all he asks in return is that I pay 10% of my income as tithing. I also told them that I have been blessed because I pay tithing—much more than I would have been had I not paid it. I think that most of us would agree that this is true—that we owe the Lord for everything He has given us and that we are blessed when we pay tithing. We’ve all read Malachi 3: 8-11. That being said, part of my job requires me to analyze peoples’ personal and business financial statements and tax returns day after day—and I can tell you from experience that I also know that many people are suffering—some as a result of decisions they made and some through no fault of their own. People are losing their homes, savings, and businesses they’ve built over a lifetime. As with the Widow’s Mite, I believe that paying tithing in circumstances such as these requires a higher level of faith, understanding, and obedience. During times like these, I believe there is value in reflecting on the experiences of our ancestors and there is comfort in knowing they overcame challenges as bad if not worse than those we face now. I’d like to share a few stories from the past with you today. Although the Church was restored in 1830, the law of tithing, as a commandment, was not given to the Saints until Joseph Smith received the revelation known as Section 119 on July 8th 1838. Until that time, the members had been following the Law of Consecration and Stewardship. According to the heading of Section 119, the Lord withdrew this practice for a time “because of failure on the part of many to abide by this covenant.” Tithing referred to in D&C scriptures received prior to July 1838 refers to a free-will offering and is not the 10% requirement outlined in Section 119. “…we have only $25 to carry twenty-eight souls and thirteen horses 500 miles. We have lived very close and camped out at night, notwithstanding the rain and cold, and my baby only two weeks old when we started. Agnes is very feeble; father and mother are not well and very much fatigued; mother has a severe cold, and in fact it is nothing but the prayer of faith and the power of God, that will sustain them and bring them through. Our courage is good, and I think we shall be brought through. I leave it with you and Hyrum to devise some way to assist us to some more expense money. We have unaccountably bad roads, had our horses down in the mud, and broke one wagon tongue and thills, and broke down the carriage twice, and yet we are all alive and encamped on a dry place for almost the first time. Poverty is a heavy load, but we are all obliged to welter under it. It is now dark and I close. May the Lord bless you all and bring us together, is my prayer. Amen. All the arrangements that brother Hyrum left for getting money failed; they did not gain us one cent. In response to the Prophet’s inquiry, the Lord revealed that the Saints should pay “one-tenth of all their interest annually.” Note that the Lord did not tell the Prophet the Saints should wait until their financial situation improved to start paying tithing. Nor did he say they should wait until the economy recovers to start paying tithing. To the contrary, it was in the midst of extreme financial difficulty that the Lord chose to bless—not burden the Saints with the Law of Tithing. As we know the Saints were faithful and the Church survived and eventually began to prosper. We know they moved on to Nauvoo and eventually to the Salt Lake Valley. Just 49 years after section 119 was received, Congress passed the Edmunds-Tucker Act of 1887 in response to the practice of polygamy. This Act dissolved the Church’s legal standing and required the surrender of all Church assets. It also shifted political power to non-members who transferred territorial funds to non-Church owned banks. This left the Church owned banks without capital to loan to the Church or its members. In 1893 there was a drop in the price of silver, which forced the closing of many mines and there was a late winter, which heavily damaged local agriculture. The Church had just completed several large projects, which required borrowed funds. These included the completion of the Salt Lake Temple, Saltair Pavilion, Salt Lake and Los Angeles Railway, and the Utah Sugar Company. The nation entered into the Panic of 1893, which was the worst depression in American history until the Great Depression hit in 1929. It is difficult to describe how dire things were and how close the Church and many of its prominent members came to bankruptcy during this crisis. In the interest of time, suffice it to say that things were very serious. The Church had a number of short-term loans coming due when capital across the nation dried up. In the deepest part of this crisis, Wilford Woodruff called upon then Apostle Heber J. Grant to go to New York and secure loans for the Church. At one point, things were so desperate, that Heber J. Grant said he shed bitter tears as he supplicated the Lord with all the earnestness and power which he possessed. The next day, he secured the financing, which saved the Church from bankruptcy. Heber J. Grant was a remarkable man as well as a remarkable Apostle, Prophet, and Church President. If I were to ask you which Church President saw the membership double under his tenure, you’d probably think of David O McKay. If I ask you which President is known for his PR efforts to improve the Church’s reputation among non-members, you’d think of Gordon B. Hinckley. What about the Church Welfare Program—Harold B. Lee. And we all know that Lorenzo Snow is the President who really pushed paying a full tithe, right? Well the fact of the matter is that all of these things can also be attributed to Heber J. Grant. 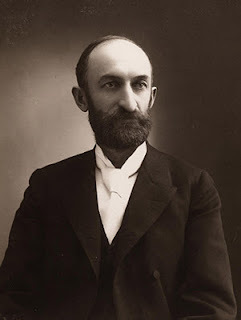 Heber J. Grant’s term as Prophet and President of the church lasted 27 years from 1918 to 1945—the second longest in church history. Church membership increased twofold during that period. It was under President Grant’s direction that Harold B. Lee began his work on the welfare program. Not only did Heber J. Grant preach the law of tithing more than any Church President, but he also served as an apostle and prophet during the most trying financial times in our nation’s history. Personally, I do not believe these two things are unrelated. Through much of my reading on the subject, I found that Heber J. Grant often mentions financial responsibility and tithing together. In Teachings of the Presidents of the Church: Heber J. Grant it says, “President Grant emphasized the need to avoid debt. He also urged his listeners to pay tithes and offerings, even in times of financial difficulty.” It later continues, “I believe that when a man is in financial difficulty, the best way to get out of that difficulty (and I speak from personal experience, because I believe that more than once in my life I have been in the financial mud as deep as almost anybody) is to be absolutely honest with the Lord, and never allow a dollar to come into our hands without the Lord receiving ten per cent of it. I realize that these last quotes are about debt and finances instead of tithing, but the root cause that leads to these financial habits in my opinion is putting ourselves first or at least placing too much importance on wants and appearances. Consider that according to the National Association of Homebuilders, the average home size in 2009 was 2,700 square feet. In 1970 it was 1,400. The home I grew up in was 1,200—and we had seven kids and a dog. Clearly, our perception of what constitutes a basic need such as shelter has clearly evolved over the past few decades. Ask yourself, “What is the purpose of tithing?” Of course tithing supports the physical facilities, the missionaries, lesson materials, and so on, but there is another reason. Tithing helps us be less selfish. It helps us focus less on the things of the world. A less selfish person is probably not as likely to go heavily into debt for a want or to keep up appearances. I hope that we can look back at some of the more difficult times in our history and draw strength from those who were so faithful and paid tithing to the Lord in the face of such poverty. As I said before, tithing is a blessing—not a burden. We are blessed when we pay it. I’m not saying paying it will solve your finacial problems, and I’m not saying not paying it will lead to financial problems. Remember that the Lord revealed the Law of Tithing in the Latter Days during times of financial difficulty. It was emphasized by a prophet of the Lord regularly during the Great Depression and the Panic of 1893. I listened to Dave Ramsay respond to a caller who asked him if he should suspend tithing payments until he was back on his feet. Dave said, “If you cannot live off 90% of your income, then you cannot live off 100%. It does not require a miracle for you to get through the month. I think that if you sit down and look at your budget, you will see that you can make it while giving at least 10%." Adam then concluded his talk with his testimony in the name of Jesus Christ. Amen. I like! I just heard from a man about some Mormons he knows who are now inactive because of tithing. I feel like there are times to take and times to give and if we really can't give, all the times we've given will support us now, though many choose not to go that route but instead suffer or lose their testimonies. Even if I didn't have a spiritual testimony of tithing, the obvious physical benefits I've had would win me over: I have a ward family anywhere I go, a semi-warm building to meet in (it's because suit-wearing men control the thermostats, I am convinced), clean bathrooms to use, parties and other activities to attend, motivating lessons to hear, and the list goes on . . .
Michemily, thanks for the comment. We had tithing settlement this afternoon, and it again reminded me how grateful I am for the blessings of tithing. Thanks so much for sharing this! It sounds like he whittled some of this down, is there a full length version, or by chance could you get his sources so I can dig a little deeper on the history side? Thanks! Awesome talk. Thanks for sharing it!